Yoga Guru Baba Ramdev asked people to vote for BJP and CPI in the coming Assembly elections in five states and "reject" other parties which have failed to accept "genuine" issues of bringing back black money and corruption. 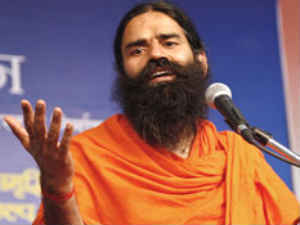 "Those parties, which are not supporting and accepting the genuine issues of bringing back black money and corruption, must be rejected in the elections as their intentions are bad," Ramdev told reporters here. He said in response to the letters sent by him to all political parties asking for their acceptance on seven points including declaring black money stashed in foreign banks as national assets and others, only two parties-- BJP and CPI gave their acceptance.